years, most recently as magid Shiur and Mashgiach for eight years in Tomchei Tmimim, Morristown. 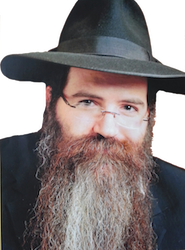 In addition to his broad knowledge and Koach Hasbarah in Nigleh and Chassidus (Rabbi Volfman has authored a Sefer on the importance of learning Pnimiyus HaTorah), he is especially known for his warm and caring personal involvement with his Talmidim. Most notably, his sincere joy and enthusiasm for Yiddishkeit is infectious and has inspired many Bochurim over the years. We feel that Rabbi Volfman is a natural addition to what Lev Tmimim is all about and look forward to your boys learning with him. 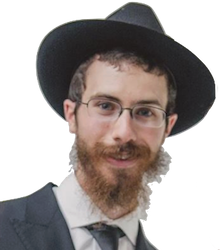 Rabbi Tal Lewis , a young energetic multi talented teacher who most recently served as a שואל ומשיב in Morristown’s Tiferes Bachurim. H olding a degree in Mathematics and Economics, as well as being a musician, he will be assisting in both Limudei Kodesh as well as Limudei Chol and giving musical instrument lessons. Mr. David Levin, a retired engineer and mathematician who served as a high school general studies teacher for the last decade. Mr. Levin has experience in preparing students for State tests and helping them achieve their NY State Regents Diploma successfully.